My grandfather used this when he was a young man. 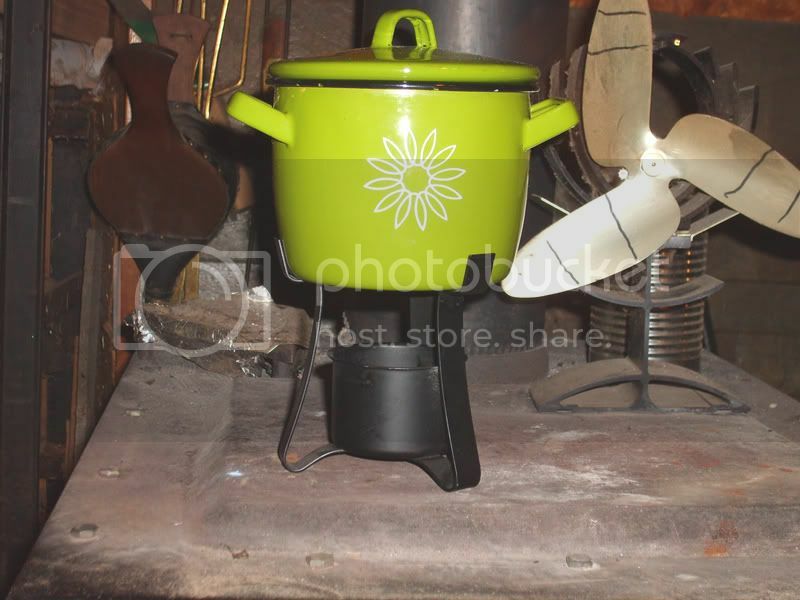 He gave it to me a few years ago when I started talking about alternative stove types. Don't know what year he bought it, I've done some research of Sterno patents trying to figure it out. There was a patent for this but I think this was bought earlier than the year it was granted and I don't remember what year it was anymore. I have taken it on a couple trips with me. I like it for the sentimental value. My grandfather seems to be proud of me that I like the outdoors so much. I have done a lot more backpacking than he was ever able to do and I think he lives vicariously through me because we'll sit and talk for hours on end about backpacking. Pictures are with my cell phone so not the clearest... where is that darn digital camera when I need it? One on one with grandpa, quality time together, doesn't get any better than that. Quality time with grandpa....it doesn't get any better than that. cherish it and do it often. I can still remember all the fishing trips I took with my grandpa---awesome memories. This new old takes the old small sterno cans i like to but a wick in it for alcohol it all fits in pot. Last edited by oops56 on Thu Feb 28, 2008 11:19 pm, edited 2 times in total. I think he keeps them in the east wing of the soon to open, Oops' Vintage Stove Museum ! Before the 2nd World war they made a Double burner that looks like the grandpa stove and a 3 burner called the kitchenette. 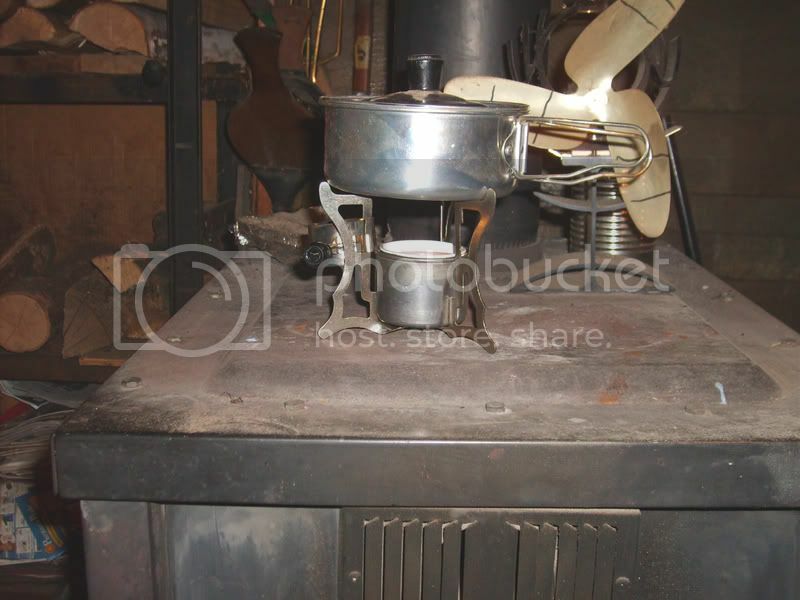 Username75 wrote: Before the 2nd World war they made a Double burner that looks like the grandpa stove and a 3 burner called the kitchenette.